Last fall I was in the bookstore on Bainbridge Island when I saw a poster advertising upcoming author events. I was beyond excited when I read that David James Duncan, author of The River Why and The Brothers K, among others, would be visiting the store. Joining him was author Brian Doyle, who I hadn't heard of. The event was held days after the Presidential election; the room was charged. Brian addressed the elephant in the room as soon as the event started. I immediately liked him - he was loud, energetic, sincere, hilarious, and didn't mind cursing. The readings that Doyle and Duncan gave that evening were as good as any I can remember, and afterward I got a chance to meet the authors and chat. Per encouragement from friends, I even wore sandals to show Duncan my River Why tattoo. Duncan laughed and considered drawing a foot around the hook on the inside of the book. I bought a hard-to-find Duncan book and one of Doyle's, Mink River. He signed it, "Blessings and laughter." A few weeks later, on my way back to the island from Thanksgiving in Maine, I started Mink River. And ate it up. When I landed in SeaTac, I checked my email and was shocked to see an email entitled "Brian Doyle" from a coworker who had also attended the readings. The note shared the news that Brian had been diagnosed with a brain tumor shortly after the event at the bookstore. The email was eerily coincidental. 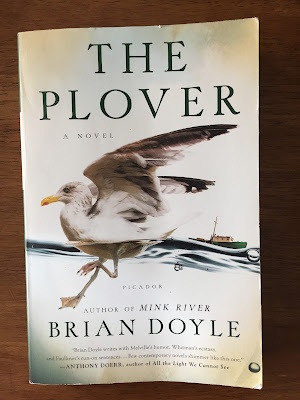 Brian Doyle passed on 5/27/2017, a few days after I started reading his novel The Plover. In his words, "Of course you do your absolute best to find and hone and wield your divine gifts against the dark. You do your best to reach out tenderly to touch and elevate as many people as you can reach. You bring your naked love and defiant courage and salty grace to bear as much as you can, with all the attentiveness and humor you can muster; this is, after all, a miracle in which we live, and we ought to pay ferocious attention every moment, if possible." 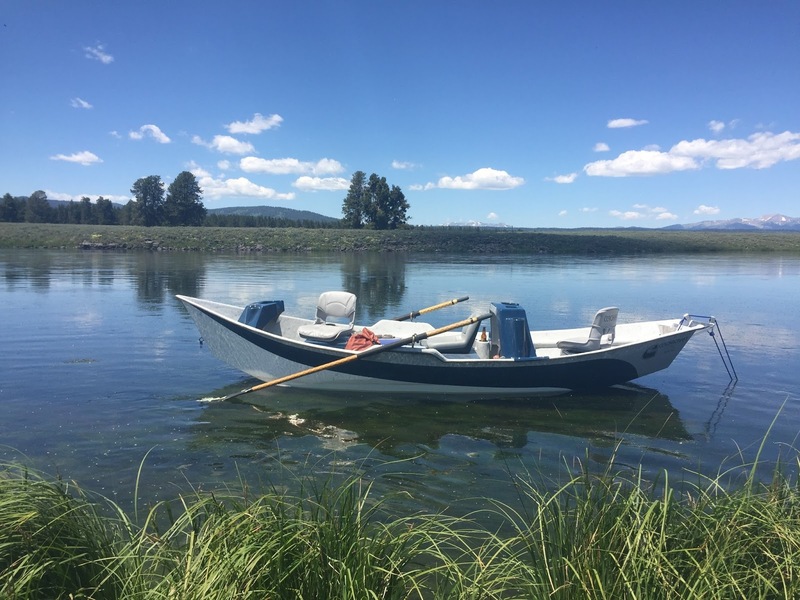 The Plover is a sea story that follows the vessel of the same name and her crew. It's a wonderful read, and I recommend it to everyone. Last weekend I traveled South to Idaho to fish and to pick up my own vessel. This ship needed a captain. I will be it. I will call her the Plover, in honor of Brian Doyle. Now accepting crew applications. "Why did I name the Plover the Plover, you ask? says Declan to the gull, who had not asked. I’ll tell you. Listen close now, because I have not explained this before and will not again. Far too much repetition in life altogether. We should say things once and let them just shimmer there in the air and fade away or not, as the case may be. The golden plover of the Pacific, the Pacific Golden Plover, is a serious traveler. It wanders, it wends where it will. It is a slight thing, easily overlooked, but it is a heroic migrant, sailing annually from the top of Pacifica to the bottom. It forages, it eats what it can find. It talks while it travels and those who have heard it say it has a mournful yet eager sound. This seems exactly right to me, mournful yet eager. We regret, yet we push on. We chew the past but we hunger for the future. So I developed an affection and respect for the plover. It’s a little thing the size of your fist, other than those long pencilly legs for sprinting after grasshoppers and crabs and such, but it can fly ten thousand miles across an ocean itching to eat plovers and reaching for plovers with storms and winds and jaegers and such. You have to admire the pluck of the plover. It doesn’t show off and it isn’t pretty and you hardly even notice it, but it’s a tough little bird doing amazing things. Also it really likes berries, which appeals to me. Most of them fly from Siberia or Alaska to Australia and New Guinea and Borneo and such but some of them camp out awhile in Hawaii and just cruise around in the long grass in the sun eating and dozing. This appeals to me. So when it came time to name a little drab boat that wasn’t dashing and didn’t weigh much and no one notices much, but that gets a lot of work done quietly and could if it wanted to sail off and go as far as it wanted way farther than anyone could ever imagine such a little drab thing could do, that might pause here and there at an island so as to allow a guy to eat and doze in the grass, well, that’s why we are the Plover. So now you know. Don’t keep badgering me with questions." RIP Brian Doyle. A fine vessel there sir, and a fine name.